Is smart home technology in Jade Ocean Apartment the only reason for renting? In this age of technology and an Internet, you can’t live without technologically advanced gadgets. Nor is it possible for you to live without many tech-enabled home appliances. How would you feel to be in a home giving you 24×7 accessibility to an in-touch screen that will allow you to contact the valet, concierge, find places to shop, control the home’s lighting and much more? Yes, all these smart home technologies are available in the Jade Ocean Condominium. Are you ready to learn about the new way of luxury condo construction these days? There you are getting apartments available for both sale and for rent. You are free to go for the one or both as per your choice. For those who want a good return from their investment, buying a Jade Ocean apartment for sale will be a wise decision because they can later sell their properties at higher prices. Now several units are available in Jade Ocean at reduced prices, but their demand is incremental and poses to sky-rocket very soon. Before they reach a level out of your affordability, it is wise to invest or purchase an apartment of your dreams. Be sure that your investment or purchase will give you much more return and satisfaction. Those who are contemplating to stay close by a cobalt ocean and in a fresh air may certainly choose the option of Jade Ocean apartment for rent. 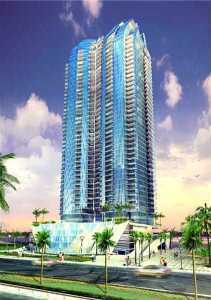 Ownership of a unit in Jade Ocean Condo will give you a certain sense of pride. The reasons are like the building architecture has an amazing aesthetic design and appeal. Exterior of the building is visually stunning. Why would it not be having when it’s designed by Carlos Ott? Carlos Ott has a reputation as being one of the best designers in the world. Have a look on this building, its appearance has a contemporary appeal that will initially attract you and has a compelling effect you will certainly love. The Jade Ocean Condo offers a range of fantastic amenities. Find there infinity edge pools all around the building and direct ocean views that none others can possibly offer so beautifully! There is amazing three-storied lobby, besides necessary amenities like 24-hour security, valets on duty around the clock, private beach club that has cabanas, a café, and even a splash deck for the little ones to enjoy. Besides its high-tech settings, you will get many more reasons to opt for Jade Ocean apartment for rent. It is in the heart of Sunny Isles and that means it is just a short distance to Miami and only a quick drive north to Fort Lauderdale. You will be living close to the beaches, the nightlife, airport, and anything else you might need to visit. Do you know these are just some of the reasons that you will want to make Jade Ocean your new home? When you stop to consider just how much the building offers, even before you start looking at the individual units, it’s easy to see why it is so popular.